Root Game is inspired by the root chakra or Muladhara, which is located at the base of the spine of our bodies. It's color is red, and it is associated with survival, the feeling of safety, basic human needs and physical identity, building a foundation for living our lives. The chakras can get out of balance, and this might cause functional problems in our bodies. 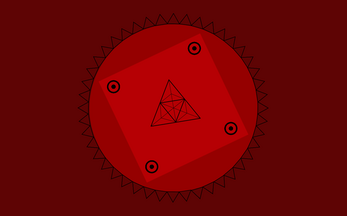 With this mini-game, I wanted to represent the act of re-balancing the root chakra. 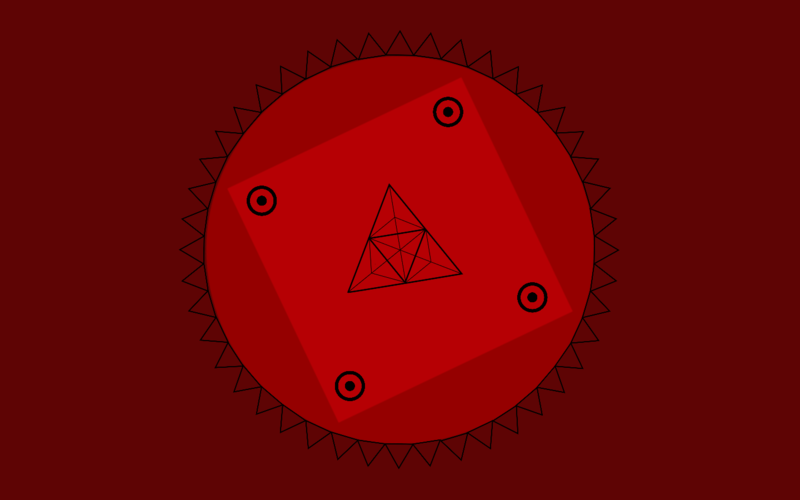 A chakra is a vortex of spinning energy, so I decomposed the parts of the symbol or Muladhara and made each part spin towards different directions at various speed. 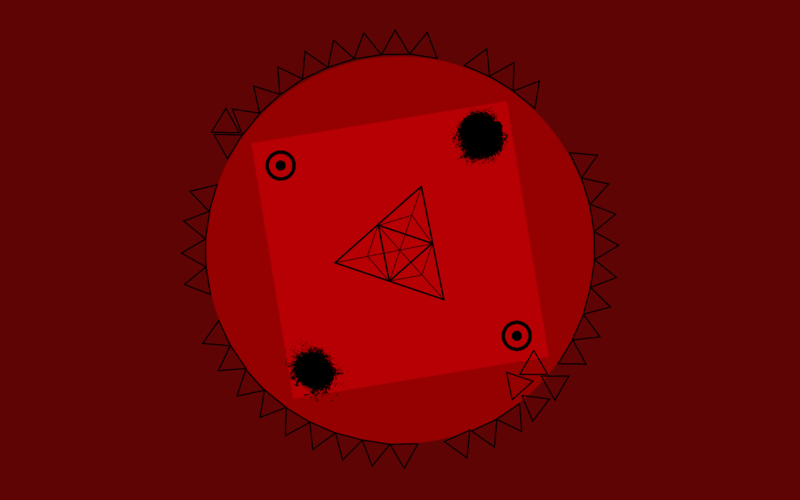 There is a spinning triangle right at the centre, and the player can shoot energy beams through the tips of the 3 corners of the triangle. 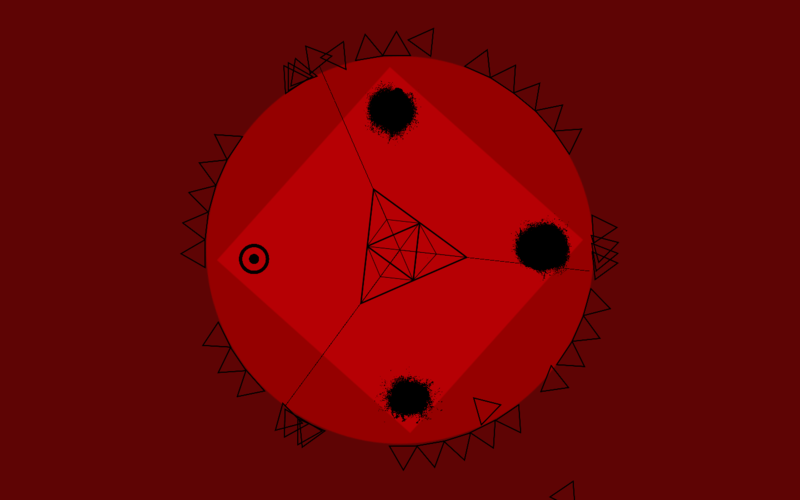 The player aims to push away the little triangles spinning around the large circle by shooting at them. The player must protect the little circles (eggs) and not shoot them, in order to win the game. There are 4 eggs, and if the player pops all of them by mistake, the game is over. The objective is dropping all the triangles without damaging the eggs.